Perfect for your gardening friends, a farmer's market foodie or anyone that loves the retro look, like WE do! 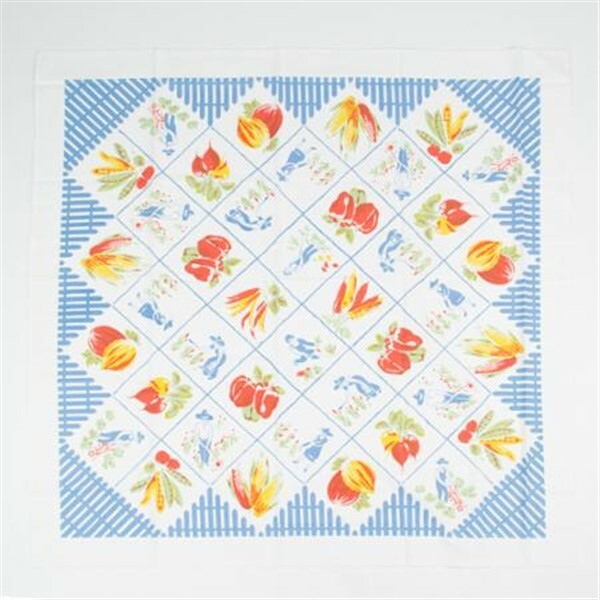 This 52" x 52" tablecloth is made of 100% cotton and comes in the famous moda fabric pouch. It features "patches" of gardening folk and produce surrounded by a medium blue "picket fence" pattern.